If you get far enough away you’ll be on your way back home. 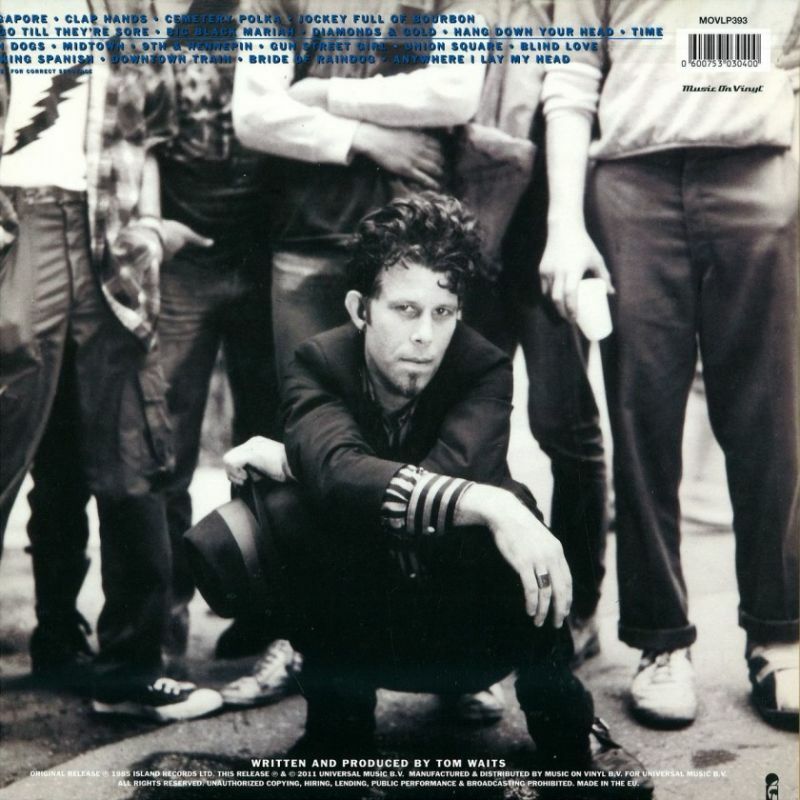 Rain Dogs is the 9th album by American singer-songwriter Tom Waits, released in September 1985 on Island Records. 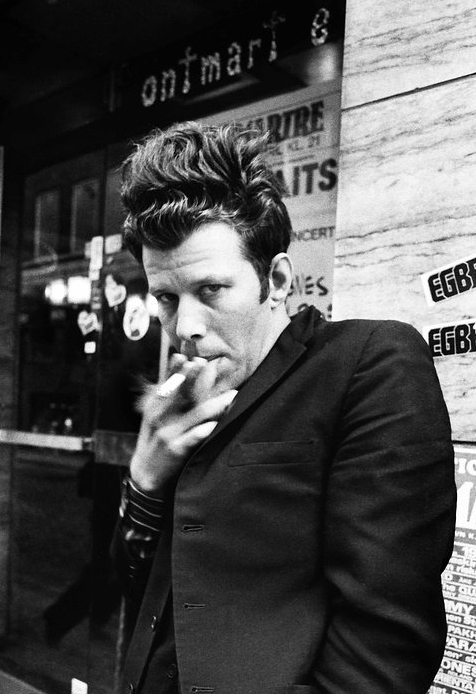 A loose concept album about “the urban dispossessed” of New York City, Rain Dogs is generally considered the middle album of a trilogy that includes Swordfishtrombones and Franks Wild Years. The album peaked at #29 on the UK charts and #188 on the US Billboard Top 200. In 1989, it was ranked #21 on the Rolling Stone list of the “100 greatest albums of the 1980s.” In 2003, the album was ranked number 397 on the magazine’s list of “The 500 Greatest Albums of All Time”. 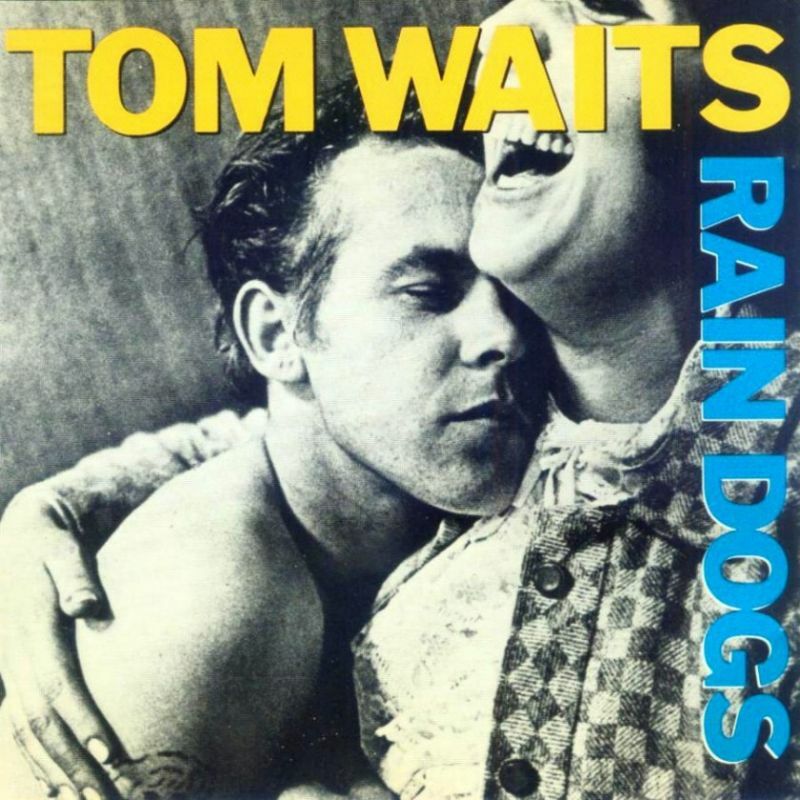 Pitchfork Media listed Rain Dogs as 8th best album of the 1980s. Slant Magazine listed the album at #14 on its list of “Best Albums of the 1980’s”. With its jarring rhythms and unusual instrumentation — marimba, accordion, various percussion — as well as its frequently surreal lyrics, Rain Dogs is very much a follow-up to Swordfishtrombones, which is to say that it sounds for the most part like The Threepenny Opera being sung by Howlin’ Wolf. The chief musical difference is the introduction of guitarist Marc Ribot, who adds his noisy leads to the general cacophony. 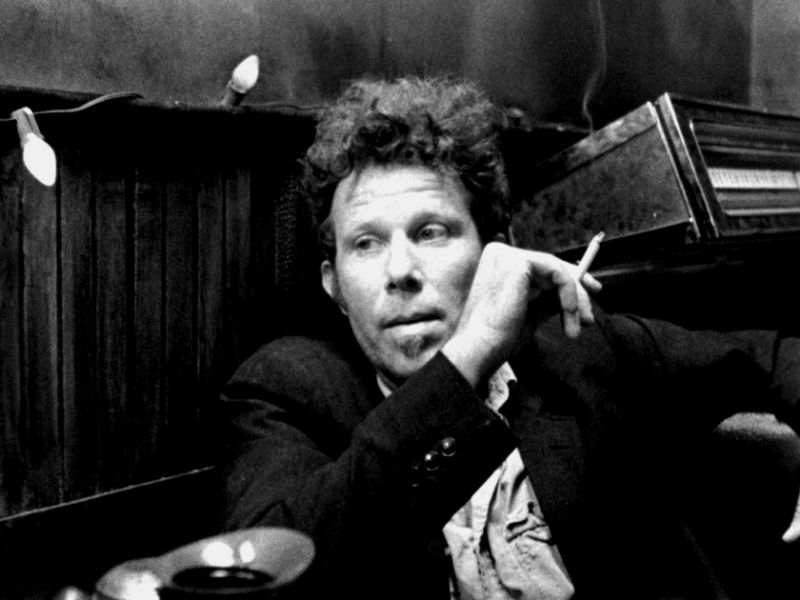 But Rain Dogs is sprawling where its predecessor had been focused: Tom Waits’ lyrics here sometimes are imaginative to the point of obscurity, seemingly chosen to fit the rhythms rather than for sense. In the course of 19 tracks and 54 minutes, Waits sometimes goes back to the more conventional music of his earlier records, which seems like a retreat, though such tracks as the catchy “Hang Down Your Head,” “Time,” and especially “Downtown Train” (frequently covered and finally turned into a Top Ten hit by Rod Stewart five years later) provide some relief as well as variety. 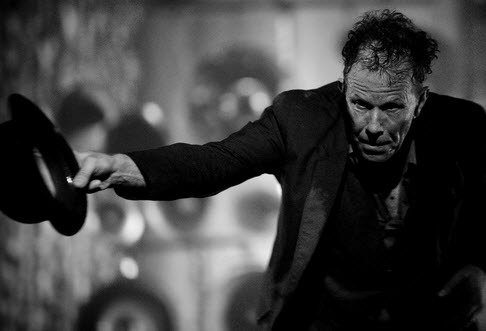 The album has been noted as one of the most important musically and critically in Waits’ career, in particular to the new direction which he undertook from 1983’s Swordfishtrombones onwards. “Blind Love” is one of my first country songs. I like Merle Haggard. Most of those other guys, though, sound like they’re all just drinking tea and watching their waist and talking to their accountant. This one I think subscribes to some of that roadhouse feel. The song “Hang Down Your Head” is loosely based on the folk song “Tom Dooley”, with the lyrics altered but the melody remaining mostly intact. According to Barney Hoskyns, the album’s general theme of “the urban dispossessed” was inspired in part by Martin Bell’s 1984 documentary Streetwise, to which Waits had been asked to contribute music. 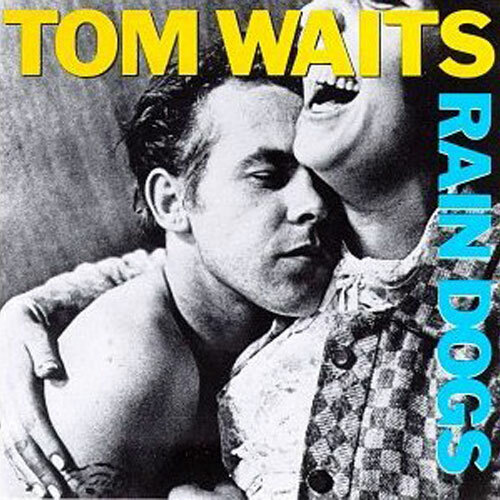 With its jarring rhythms and unusual instrumentation — marimba, accordion, various percussion — as well as its frequently surreal lyrics, Rain Dogs is very much a follow-up to Swordfishtrombones, which is to say that it sounds for the most part like The Threepenny Opera being sung by Howlin’ Wolf. The chief musical difference is the introduction of guitarist Marc Ribot, who adds his noisy leads to the general cacophony. 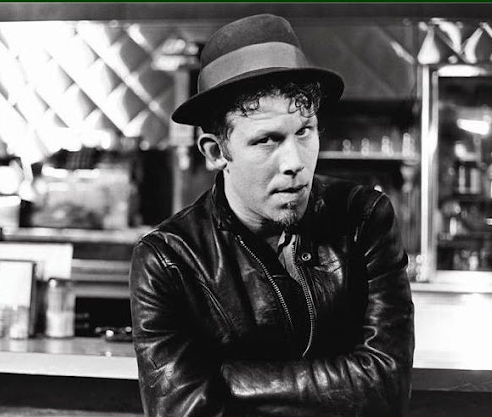 But Rain Dogs is sprawling where its predecessor had been focused: Tom Waits‘ lyrics here sometimes are imaginative to the point of obscurity, seemingly chosen to fit the rhythms rather than for sense. 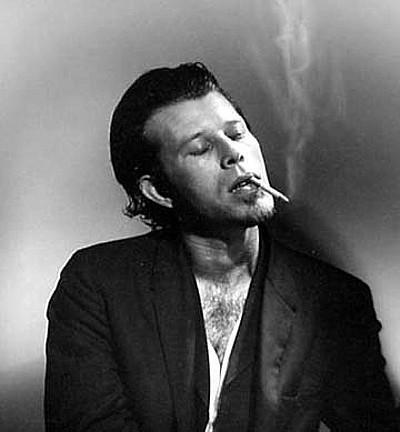 In the course of 19 tracks and 54 minutes, Waits sometimes goes back to the more conventional music of his earlier records, which seems like a retreat, though such tracks as the catchy “Hang Down Your Head,” “Time,” and especially “Downtown Train” (frequently covered and finally turned into a Top Ten hit by Rod Stewart five years later) provide some relief as well as variety. ……………….. I can’t choose all three albums as my all-time favourite, so Rain Dogs – the best by a snout – clinches it. Waits had refreshed his sound on Swordfishtrombones two years earlier by moving beyond piano and guitar to dabble with a wider variety of instruments, and on Rain Dogs his repertoire continued to expand, with pump organs, accordions and bowed saws. He also gained the talents of guitarist Marc Ribot, whose humid Cuban licks on Jockey Full of Bourbon perfectly complement Waits’s suave dishevelment. The song “Hang Down Your Head” is loosely based on the folk song “Tom Dooley“, with the lyrics altered but the melody remaining mostly intact. 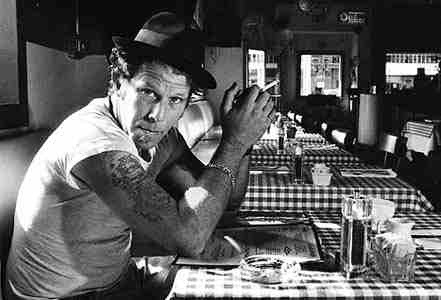 Here is one of Tom Waits best songs from his brilliant album “Rain Dogs” (I’ll come back to this album tomorrow).